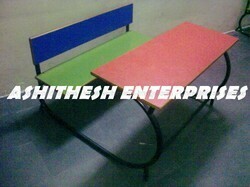 Supplier & Manufacturer of Classroom Furniture. 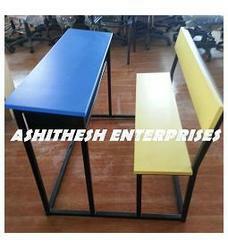 Our product range also comprises of 3 Seater School Desk, School Desk with Chair, Wooden Desks etc. These desks are made up of high quality wood and are highly durable in use. These are offered to our clients at market leading rates. 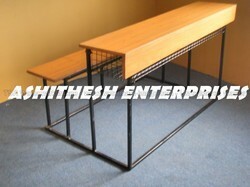 We are a leader in manufacturing and supplying premium quality 3 Seater Light Wood Desk. We are known for our high quality and durable products. We are a leading name in manufacturing and Supplying high quality 5 Seater Classroom desk with wooden top and back along with the shelf. 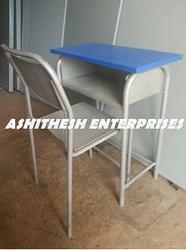 We provide a range of quality Student Desks. These are available at affordable rates to our esteemed customers. 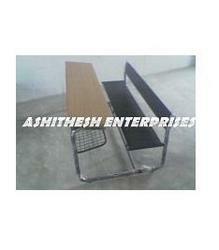 We are a highly acclaimed name in manufacturing and supplying of Single Seater Desks. With the help of our adroit professionals, we are highly capable to present a superior range of Single Seater Desk, which is known in the market for their study design and precise sizes. 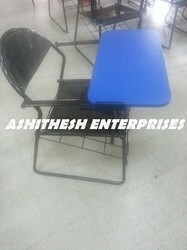 These desks are broadly used in the market owing to their and low priced. 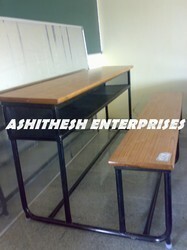 Our dexterous professionals use the top quality raw material and superior technique to make these desks at industry norms. We are able to gain immense expertise in delivering Light Wood Desk to our clients. The offered range is made utilizing high grade raw material such as wood, timber and allied, sourced from reliable vendors of the market. Along with this, the offered range is suitably tested on different characteristics to ensure its adherence with the industry laid norms and standards. 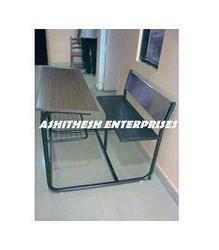 We are one of the reputed organizations engaged in offering Student Desk in the market. To manufacture these products, experienced professionals make sure to follow the quality assured standards of the industry and use best grade quality raw material obtained from the authentic vendors of the market. Writing pad chiar with bookshelf & full writing pad board. 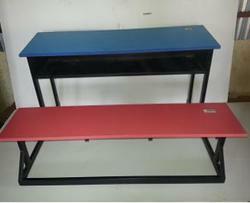 We are a leading manufacturer and supplier of proven quality 2 Seater Classroom Desk. These are available as per the buyer requirements at affordable rates. 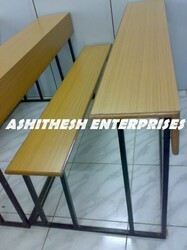 We are a renowned name in manufacturing and supplying of Classroom Furniture. 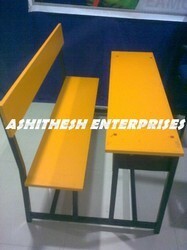 We are a highly acclaimed name in manufacturing and supplying of 2 Seater College desk with back rest. Looking for Classroom Furniture ?